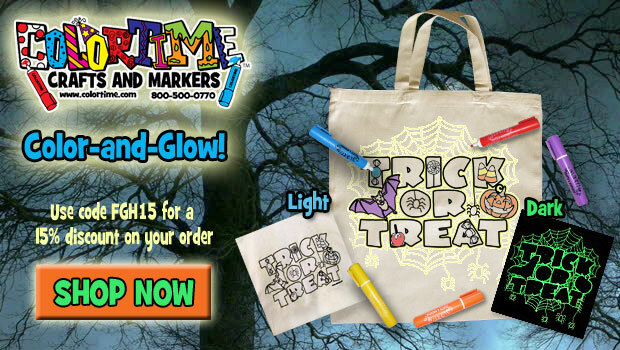 Colortime Crafts and Markers Review | COLORTIME CRAFTS AND MARKERS - GLOW IN THE DARK HALLOWEEN TOTE! 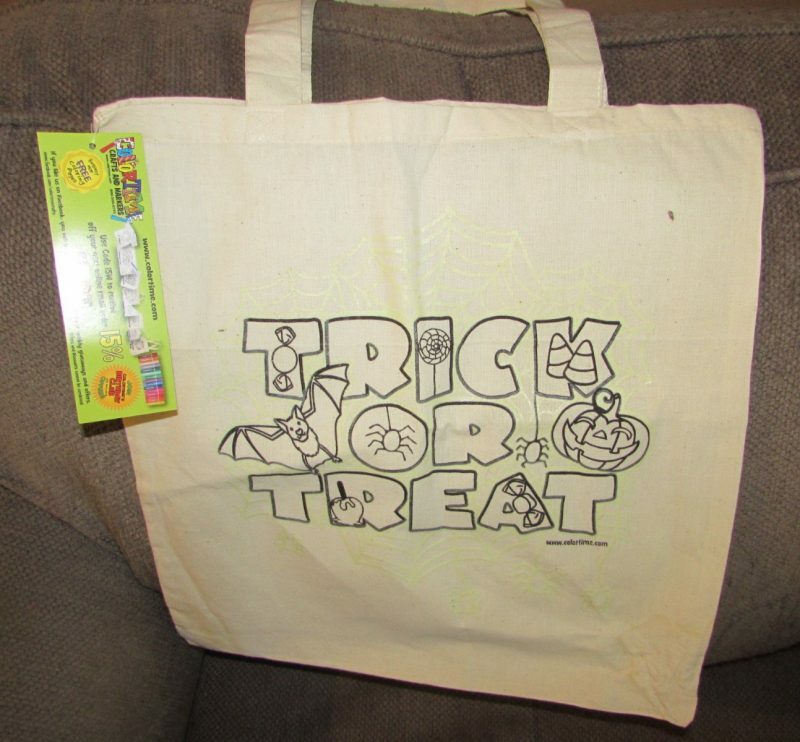 COLORTIME CRAFTS AND MARKERS - GLOW IN THE DARK HALLOWEEN TOTE! I received the mentioned product in exchange for an honest review. The thoughts contained within this post are mine and may vary from the thoughts of others. Doing arts and crafts in our home is something that we take pride in as a family. This adorable Halloween tote was a perfect afternoon project for our 4 1/2 year old. He didn’t make nearly the mess I thought he would and the Colortime permanent fabric markers did not bleed through like others I have used in the past. The bag is made from great materials and has been perfect for carrying books to read on trips or even for Jack to carry special treats home from the grocery store. We are thinking this would make a great trick or treat bag, too. I love that the design is very traditional for the Halloween season and not too scary like some other themed items I have seen recently. This bag is all about fun and we enjoyed creating it and making it our own. Jack literally colored the entire bag; back and front! Since designing the bag it has been washed a few times with absolutely no fading. This special bag will be treasured for many years to come as something we were able to create for Halloween 2018!